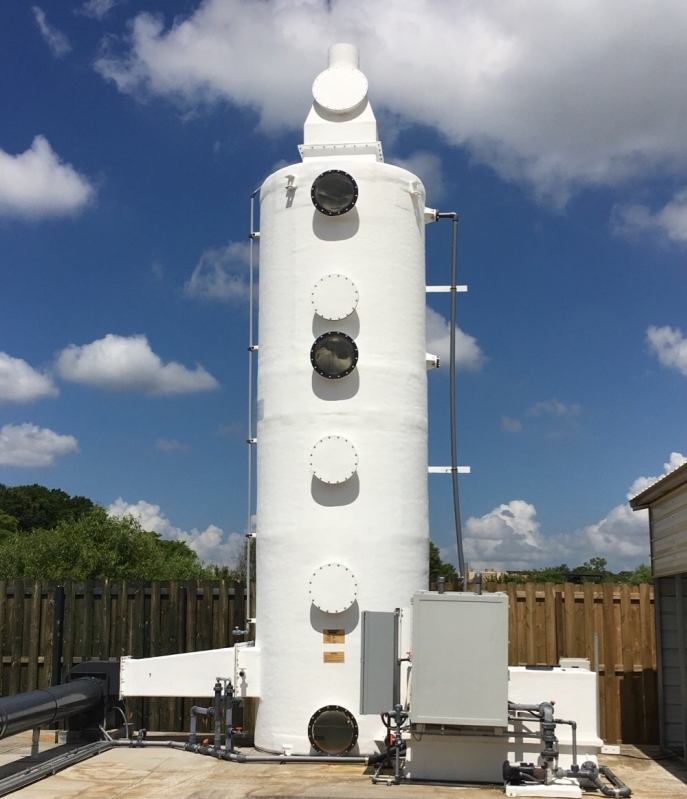 The mission of the Air Quality Committee is to develop and conduct educational programs related to ​ air quality control within Florida's wastewater field. The committee works to achieve this by conducting annual workshops on air quality and odor control. The next Air Quality Workshop is scheduled for February 21, 2019. Get more information on the workshop HERE. The FWEA Air Quality Committee presents an annual Environmental Stewardship Award for Odor Control at the Florida Water Resources Conference. We encourage utilities to submit applications for this award. Please CLICK HERE and then scroll to the bottom of the page to view the Selection Criteria for this award. 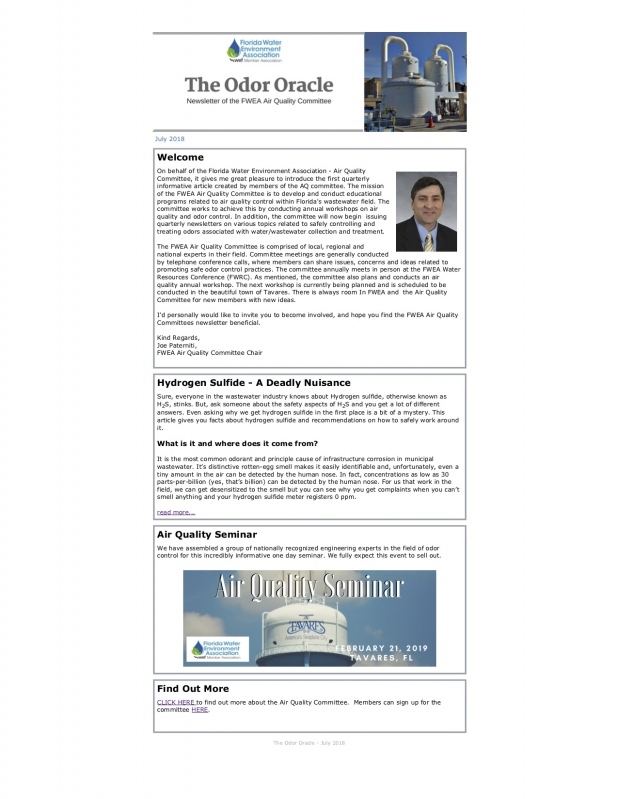 The Air Quality Committee has just launched The Odor Oracle, a quarterly newsletter with topics of interest for FWEA members. Larry Hickey | Equipment Plus Solutions, Inc. Skip Beach | R.C. Beach & Associates, Inc.
Tim Harley, P.E. | St. Johns County Utility Dept.